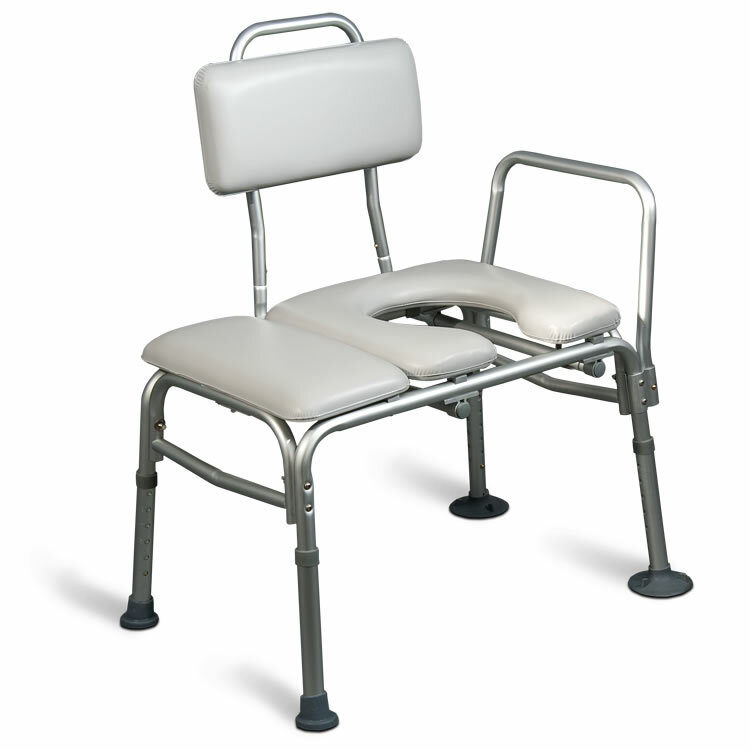 The AquaSense Padded Bathtub Transfer Bench With Commode Opening features a quick-reverse snap-on seat and removable push button handle. This Padded Bathtub Transfer Bench with commode opening offers a cushioned seat and backrest with a stain-resistant, heat-sealed vinyl covering. And, it also has a satin finished aluminum frame, wide base, large suctions tips, and a shower curtain slot. What’s more, it’s height can be adjusted in 1/2” (1.3 cm) increments.